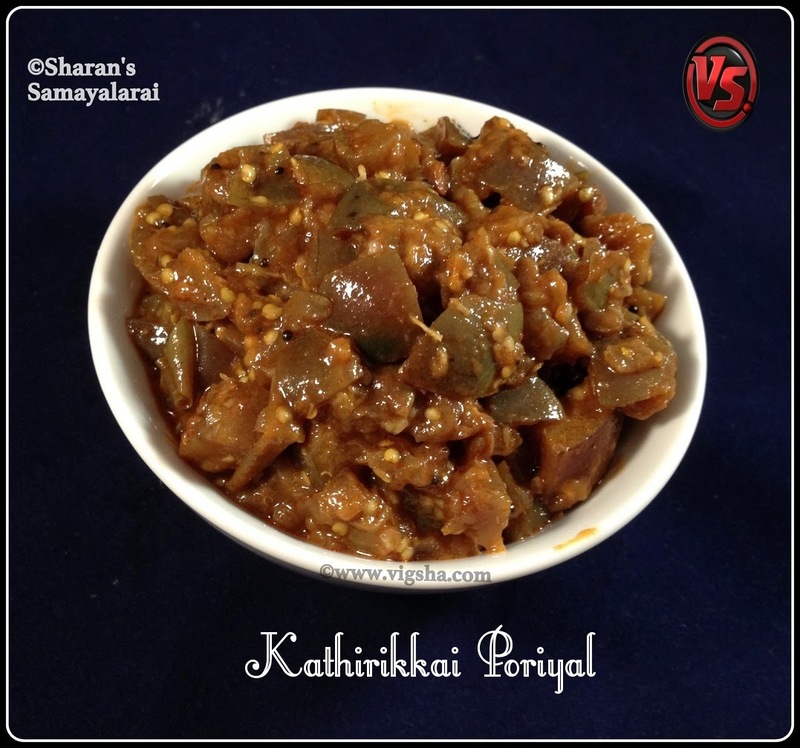 Kathirikkai Poriyal is simple and flavorful. Brinjal is rich in vitamin A, vitamin B1, vitamin C, vitamin D, protein and calcium. The use of brinjal destroys the stones in its initial stage. 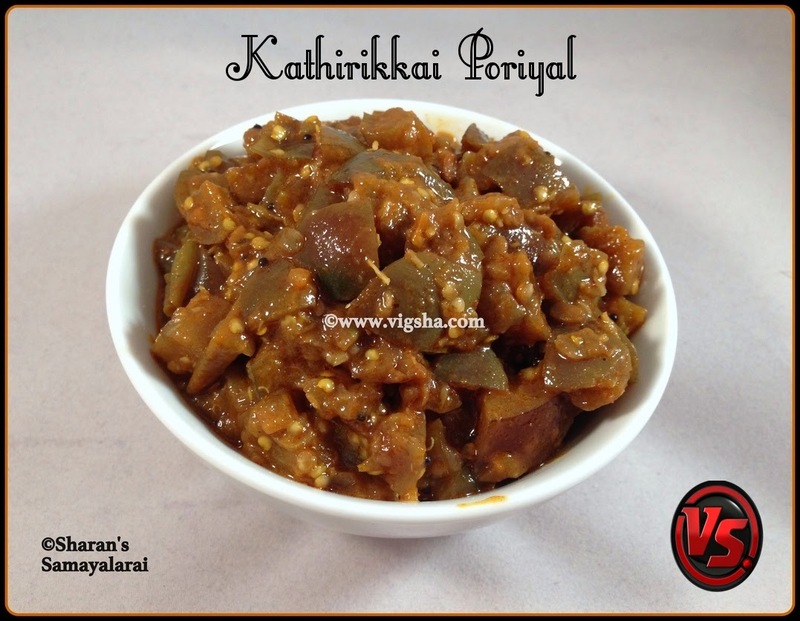 Check other Brinjal recipes which I have already posted :- Vangi Bath | Brinjal Rice, Ennai Kathirikkai Kulambu. 1). 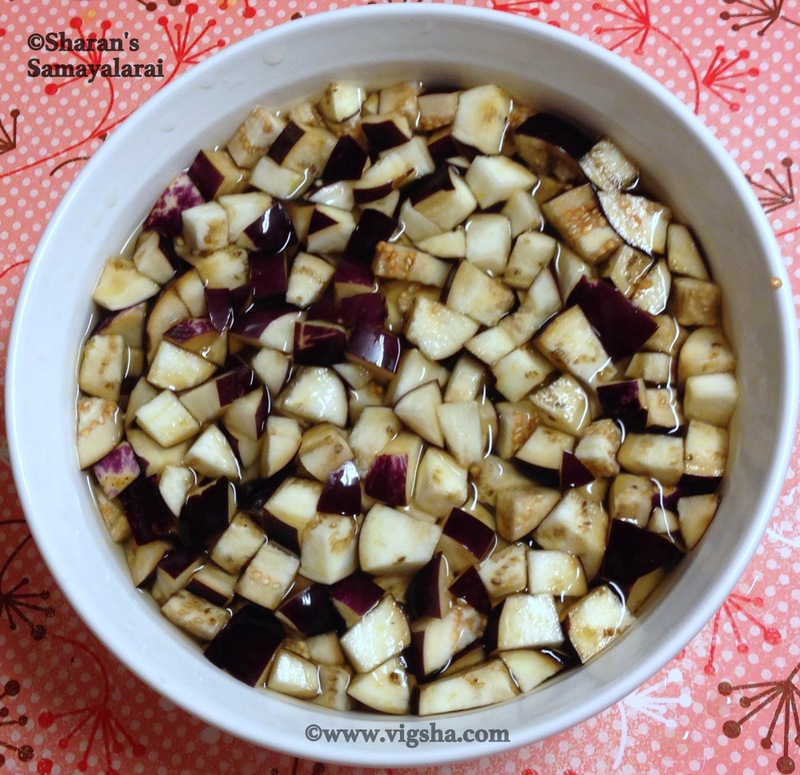 Wash the brinjal thoroughly and chop into medium size pieces. Keep them immersed in water until use to prevent discoloration. 2). 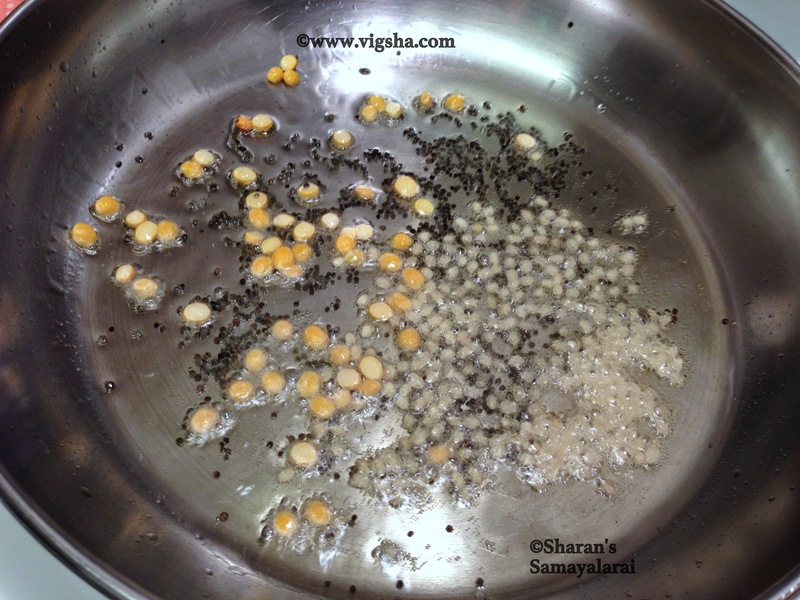 Heat oil in a pan, splutter mustard, add urad dal and channa dal. 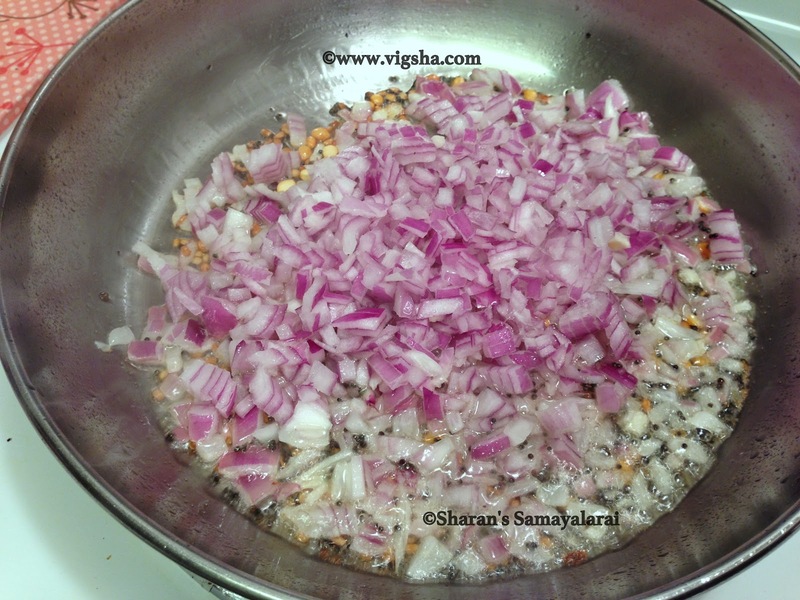 Saute till dals turns light brown and then add onions. Saute till onions turns translucent. Add turmeric powder, chilli powder along with salt and mix well. 3). 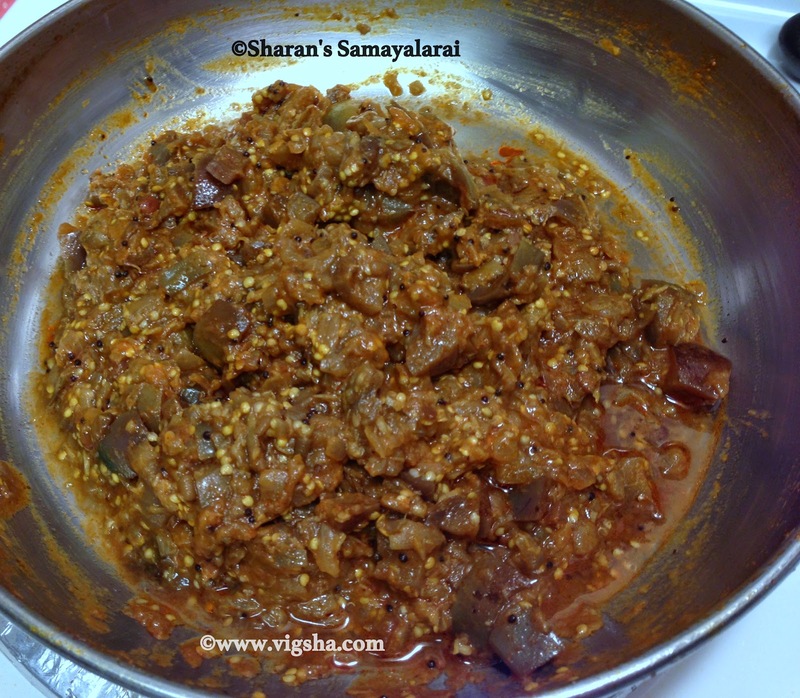 Add chopped brinjal and sprinkle little water. Let it cook on low fire till brinjal gets fully cooked. Keep stirring to prevent it from getting burnt. Finally add grated coconut and switch off. Combine everything together. 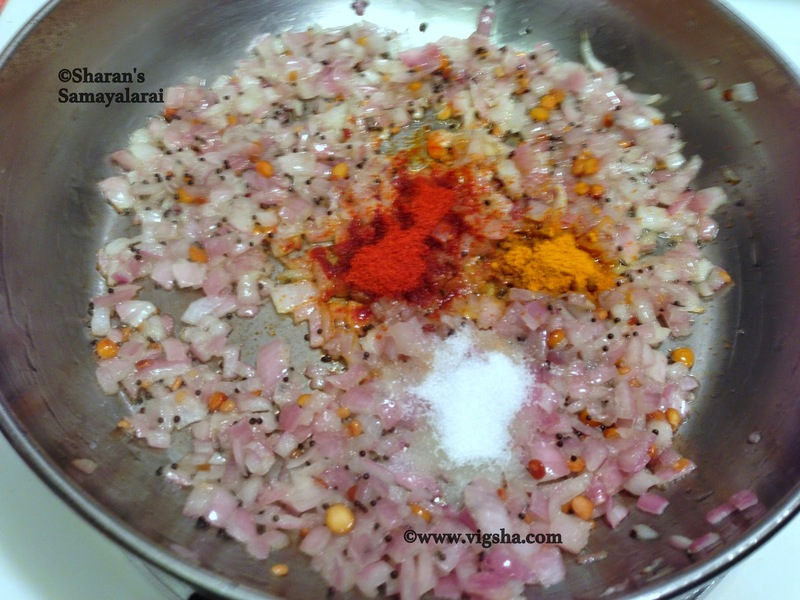 Serve with a dollop of ghee and steamed rice or as side dish with rice varieties. 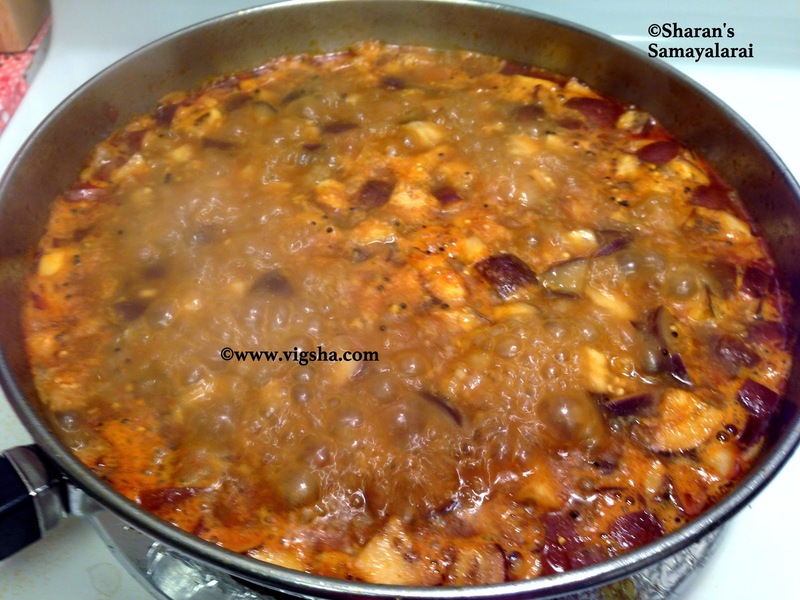 # Adjust water accordingly, you might need to add more or less depending on the brinjal variety. 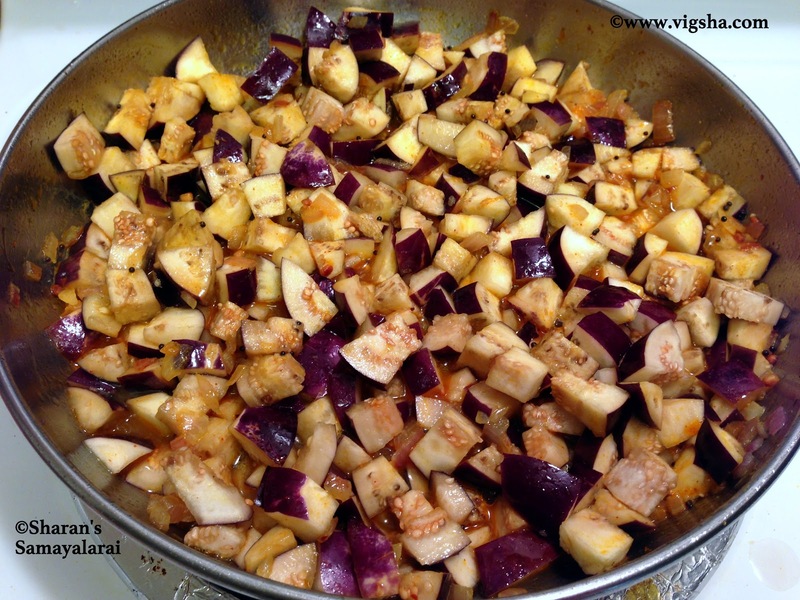 # Make sure to retain the shape of the brinjal and not to over cook it. It will become mushy if it is over cooked.